The Barrie Colts are proud to announce today that they have selected defenceman Tyler Tucker in the first round, 14th overall & centreman Jack McBain 20th overall in the 2016 OHL Priority Selection, presented by State Farm. Tucker, 16, played for the Toronto Titans this past season registering 6 goals, 12 assists for 18th points in 39 games played. The 6 foot, 201-pound defenceman from Longlac, Ontario adds a physical element to the Barrie Colts defensive depth. McBain, 16, from Toronto, Ontario spent last year with the Don Mills Flyers Minor Midget AAA team where he appeared in 16 games scoring 10 times and recording 15 assists for 25 points. 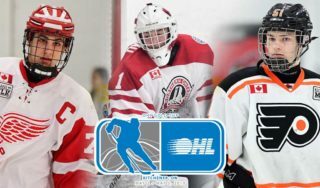 “Jack is a big skilled competitive kid with excellent hockey sense and all the tools to be a star in the Ontario Hockey League,” added Ford. The 6 foot 2, 182 pound centre is the son of former NHLer Andrew McBain who was drafted by the Winnipeg Jets in 1983 in the 1st round, 8th overall. His father skated in over 600 NHL games with stops in Winnipeg, Pittsburgh, Vancouver & Ottawa. McBain is also a former teammate of Barrie Colts Head Coach Dale Hawerchuk. 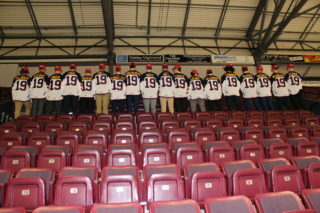 You can follow all of the Colts picks at www.ontariohockeyleague.com or follow us on Twitter @OHLBarrieColts.